Pioneer Park is a city owned and maintained park. 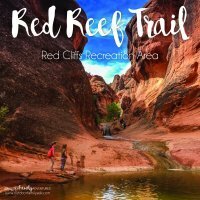 It sits on the north side of the city and for those not familiar with the area is usually referred to (in a general manner) as “Dixie Rock”. Pioneer Park can be found to the east side of the “Dixie” rock (large rock with the words “Dixie” painted on it). Once you have parked, there are a few different trails you can take. We started down the path of the “T-Bone Trail” section. Once we hit the intersection (black/white dot below), we headed west on the Pioneer Rim Trail. 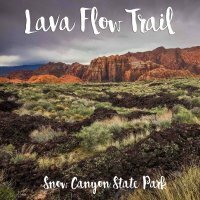 Even with a trail mapped out, my boys could not contain themselves from veering off the path and climbing all over the gorgeous red rock. We gave up following an official trail and let the kids run all over the place. Best choice ever. I wonder how it took us living here for 15 years before we really ventured up here. 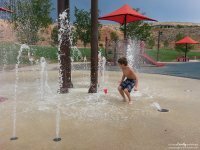 There is so much space that the older boys didn’t feel confined and the little kids still felt like they were “doing it on their own”. This is the view from the picnic gazebo. There is a great cemented, covered area that has a picnic table for sitting and eating. There is also a trash can for easy clean up. My kids do so much better when they hike with food in their tummies. You can see the gravel road below which is where we started our walk. While the little kids were finishing up their food, the boys had to go exploring. They had no trouble finding a big rock to climb and show us their amazing skills. 🙂 This rock is overlooking the picnic area. The formations also made a great sound chamber so I could hear them no matter where they went. It helps that the only volume level my children have is LOUD. This view is also right by the picnic area. Not bad to start out from, right? We weren’t walking more than 5 minutes before these two found some holes to climb in to. There is so much to climb in, on and under. Plan on some time for the kids to run free. You won’t get to every nook and cranny in one outing. We sure didn’t. 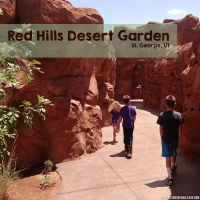 There is a slot canyon in the middle of the rocks, so keep your eyes out for little ones. 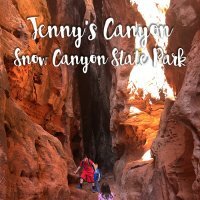 We noticed the slot canyon because adults were squishing in (anyone can go play inside–it’s a favorite with local families). With a helping hand, my little ones were able to easily hop over this slot canyon. They could not have done it without a parent’s help, but Kid1 (10 yrs) and Kid2 (8 yrs) it was easy-peasy. I could overwhelm this post with so many pictures of the kids crawling in and out of things. I can’t say enough how much of a natural jungle gym this is. SUCH a great place to spend time. Of course, it is ALL rock and no shade so on a blistering summer day it will be hot, hot, HOT! Bring water, or try going in early morning hours. We went in February on a cloudy day in the 60s. Perfection. Below are some carvings from Pioneer visitors in 1909! The highlight of the visit was getting to the Scout Cave. I had a really hard time finding any real info on this place, but what I have gathered is that some Scouts (possible in the 30s or 40s) built this to have scouting activities in. It is built in to the rock with a chimney. The kids LOVED this so much. Coming from the east side of the park, you will need to walk all the way up and around the rocks more towards the west side, next to the larger Dixie Rock. I didn’t really know where it was so we just walked until we saw the metal railings and followed it down from there. Great time and one that we will be visiting often. There is so much to see and do that you can’t stop at one visit. Next time we will try and stick to a few of the trails. Busy. If you are looking for seclusion and small amounts of people, on great weather days, this won’t be it. It is a local favorite. 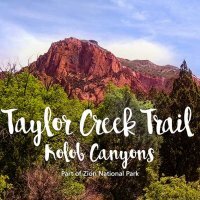 Here are two different websites that give great directions and information about these parks.